New Dean of Students Todd Adams fields questions at a past meeting of the Associated Student Government Senate. Adams joined Northwestern in early February. 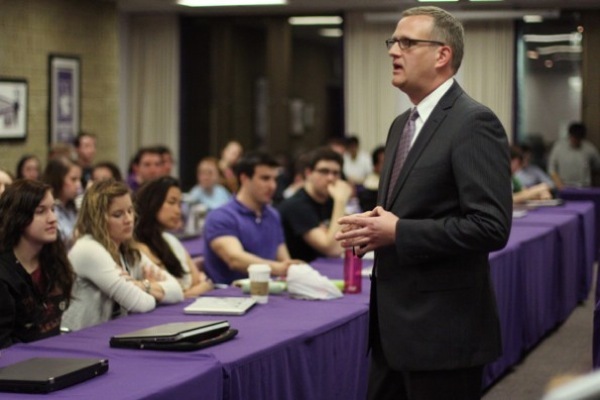 When Northwestern students typically have an issue, most usually don’t consult the Dean of Students’ office for guidance. That perception is something Todd Adams, NU’s new dean of students, is looking to change. Adams and other members of his office are working to revive Student Assistance and Support Services, which aims to promote well-being and connect students with vital campus resources. The program is already defined as part of the office’s responsibilities but has been underutilized, Adams said. Since the office was restructured at the end of Fall Quarter, the office has increasingly been helping students with academic concerns, mental health issues and personal problems. Mona Dugo, assistant dean of students, said she spends her days coordinating with students and campus resources, adding that the priority is to give students personalized services that best fit their individual needs. Dugo said she wants students to see the office as a source of assistance rather than somewhere they only go when they are in trouble. The work on SASS is part of a broader attempt to redefine the role of the Dean of Students Office and make it a centralized source of support for students. 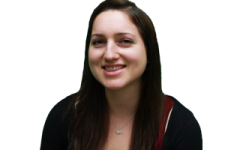 The goal is to bring more coordination to the multitude of resources on campus, Adams said. To accomplish this, Adams is working with Associated Student Government in developing the website one.northwestern.edu, a comprehensive guide to wellness and health services. Alex Van Atta, outgoing student life vice president, said it is currently difficult for students to access NU’s services. The website will connect students with on-call deans, academic advising, disabilities services and crisis response. The site will also make it easier for students to remotely schedule an appointment with Counseling and Psychological Services, Van Atta said. Adams’ improvements to the University’s resource coordination will also feed into crisis management and assessment, Adams said. Student medical leave, which is often handled by CAPS and other counseling services, will now be handled more directly in the dean’s office, and emphasis is being put on responding to emergencies in real time, he said. “We need to look at ourselves almost as if we’re a small city,” Adams said.